We are dedicatedly involved in providing an excellent quality array of Hollow Spindle Lathe Machine, for catering the various needs of our clients. Goel Industries (India) is an acclaimed Trader of Heavy Duty Lathe Machine. We offer precision made Heavy Duty Lathe Machine that is in conformity of the highest quality standards. 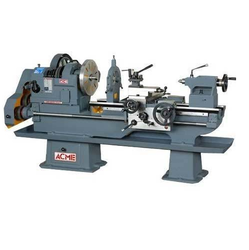 Our Heavy Duty Lathe Machine is sturdily built with the finest grade metal components. Its components are rust resistant and performance is impressive. 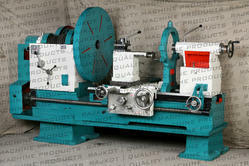 We offer to our customer a wide range of hollow spindle lathe machine.